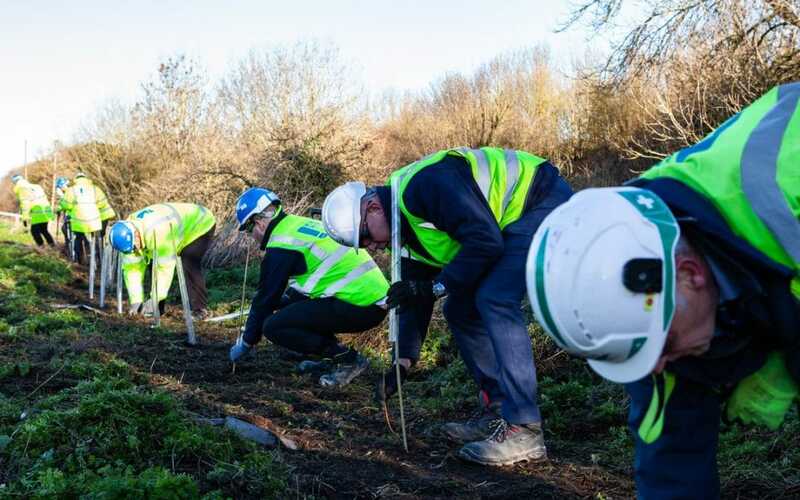 As part of the construction of the new Braywick Leisure Centre, 100 trees have been planted to create a new woodland area in Braywick Park as part of the strategy to offset the carbon emissions generated by the build. The trees were planted at a ceremony attended by local volunteers plus Cllr Samantha Rayner, Andy Wates director of Wates Construction and Alec Jackman, business unit director at Wates Construction. Construction of the new leisure centre is now well underway and the foundation floor for the pool is now in place. Clarkson Alliance are providing Development Management, Project Management and Cost Management services on the project.